Nowadays technological solutions are everywhere and many more solutions are offered to make our lives easier and more convenient. Many posts on this blog discuss certain technological developments and solutions. In this research we want to reflect on the economy of creating solutions for issues, for the sake of creating solutions. Often it seems that these technological developments create solutions that are not beneficial in the long run. Many people misplace or lose things, a study shows that in the United Kingdom an adult loses about 200.00 items average in a lifetime. This does not mean that these items are entirely lost, but that they have to be looked for (Ahmad, Rouyu and Hussain 530). We wanted to create a “quick fix” for an issue that some experience on a daily basis: not knowing where you parked your bike! Solutionism – “the idea that given the right code, algorithms and robots, technology can solve all of mankind’s problems, effectively making life “frictionless” and trouble-free” (Tucker). Of course this can be a good thing, as long as there is a problem that can be solved. But according to Morozov there’s a much darker side to the idea of solutionism: “It’s an intellectual pathology that recognizes problems as problems based on just one criterion, whether they are ‘solvable’ with a nice and clean technological solution at our disposal. Thus, forgetting and inconsistency become ‘problems’ simply because we have the tools to get rid of them — and not because we’ve weighed all the philosophical pros and cons.” (Perils of Perfection). Many of the problems that are in need of solving according to solutionists, are not even problematic in the first place. Design theorist Michael Dobbins states that “solutionism presumes rather than investigates the problems that it is trying to solve, reaching for the answer before the questions have been fully asked.” (Morozov 6). For the Silicon Valley solutionists whatever the issue, there is no problem too big and no fix too insignificant to launch a new app or start up. Morozov argues that this drive to eliminate imperfection and make everything efficient leads to an algorithm-driven world where Silicon Valley, rather than elected governments, determines the shape of our future (Tucker). Coming up with solutions for problems is in theory not a bad thing, in fact thinking of solutions is and always has been one of our primary instincts. This makes solutionism a complicated debate where defining what’s right or wrong can be a difficult task. For example in the case of gamification: turning social practices into games based on handing out badges, points and rewards. The fact that something can be gamified doesn’t mean it should be: “Do you want people to turn off the lights because they will get a coupon or because they have some ethical, environmental concerns? You don’t hear people in Silicon Valley talk about the ethical and moral dimension. They are not concerned with anything like citizenship at all.” (Tucker). As stated by Morozov “None of this is to deny that technology—from sensors to games—can be used to improve the human condition; as we have seen, it can provoke debate and lead us to question dominant social and political norms. But this can happen only if our geeks, designers, and social engineers take the time to study what makes us human in the first place. Trying to improve the human condition by first assuming that humans are like robots is not going to get us very far.” (350). Even apart from the question if solutionists are knowingly trying to make us complacent or not, the fact that their current solutions make it a possibility should be enough to question ourselves if we really need that new app that reminds us to read the news and rewards us for it. Instead of our first instinct being to think of solutions whenever technology companies claim that our broken world must be fixed, our initial impulse should be to ask: are we sure our world is broken in exactly the same way that Silicon Valley claims it is? What if the engineers are wrong and frustration, inconsistency, forgetting, perhaps even partisanship, are the very features that allow us to morph into the complex social actors that we are (Morozov, Perils of Perfection)? Despite all this, solutionism isn’t all bad; making use of new possibilities provided by technological innovation to make life a little bit easier can both be extremely cost effective and timesaving. This makes solutionism a complicated debate without either being the obvious positive or negative. In creating the BikeLoc app we intended to show how difficult the public and academic debate of solutionism can be. By going through the process of solving a problem using technology, we experience it firsthand in order to gain a better understanding of solutionism and its actors. After two brainstorm sessions we came up with the idea of an app that could help its user in finding his or her bike. There are already several solutions for finding your bike or other belongings, like Tile and Sherlock, costing around 25 euros or more each. Tile is a small card that you can attach to your keys, put into your wallet or attach it to your bike. You can use the Tile-app to play a sound on the tiny speaker or to locate it with a proximity tracker. The connection that is used to make a connection between the card and the app is based on Bluetooth technology. The downside of this technology is that Bluetooth only works up to 30 meters and that the tile has a battery life of about a year and it cannot be recharged (thetileapp.com). In the specific case of Tile the user has to be close to his belongings to be able to track them and that after about a year the product becomes useless. Something that is even less convenient is that a user can never know in advance when their Tile is running out of power. Sherlock is another solution to track back to the location of your bike. This solution actually works with a tracker that you have to build into a part of your bike, for example the handlebars. 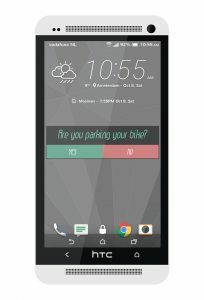 Via the app you will almost always be able to track back to the device via GPS technology. Furthermore this device actually has a rechargeable battery and it can be securely locked into your bike. The downsides of this product however are that you have to recharge the battery every week and that it needs its own SIM card to function (sherlock.bike). That creates extra costs and time spent to upkeep your tracking device. We took these downsides into account while thinking of our own solution for a product that could be developed to help when looking for your bike. Therefore we tried to keep our idea as cheap to produce and simple to use as possible. That is how we came up with BikeLoc. Our idea was that you just need a bike and to have the app installed on your smartphone. Relying on pre-existing technologies utilised by current activity tracker apps, BikeLoc would be able to follow user movements and calculate whether they are cycling or walking. This decision would be based on GPS, pedometer, and movement sensor data. 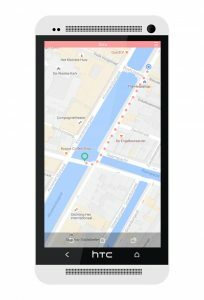 Utilising user data BikeLoc would be able to intervene once they have arrived at their parking spot, notifying them of the apps ability to remember the location by pinning it on the map. 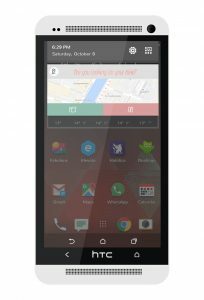 The app would quickly show a glimpse of the map with the pinpoint and would then save it in its cache memory. Later when the user comes back to the area looking for their bike the app could alert them they are close to their original parking spot, helping them to more easily locate their bicycle. Conversely, our app makes use of GPS to advise the user if they have strayed too far away from their bike, notifying them with a specific message when they have moved more than 30 meters away from their original pin drop location. What is the problem this new app solves? 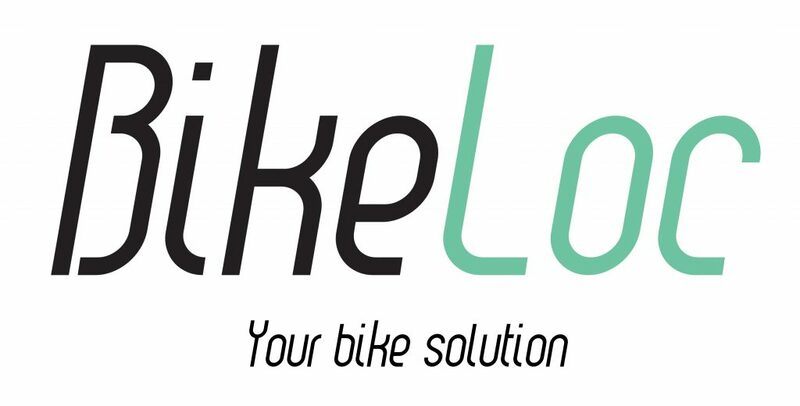 BikeLoc solves the problem of people losing time looking for their bike or the problem of people losing their bike itself. This problem could affect tourists, international students and people who have trouble remembering things. However, indirectly it is also a problem of the citizens of Amsterdam, who are bothered by the bikes that are left behind, and the City Government of Amsterdam because they have to remove those bikes eventually. When you ensure the users of the app that they will always be able to find their bikes, they may park it in any random location instead of using the designated parking facilities. Therefore we potentially create the new problem of people parking their bikes in inconvenient places. Reflecting on these three questions, we realised we stay in the mindset of our solution to the problem. However, we might not focus enough on the actual problem. The app offers a quick fix, but how can we make sure our solution is the best approach? Therefore, we must look at the origin of the problem. Why do people get lost in Amsterdam? The city centre consists of hundreds of small streets and bridges, and it’s getting more crowded every year. More specific, why do people forget where they parked their bike? Because of all the small streets in the city centre, there are not many large designated parking facilities apart from the ones at the stations and larger squares. So people park their bikes in small bike racks, or any spot they can lock their bikes. The problem (people looking for their bikes) we are trying to solve may not be the fault of the bike owner, but for example of the city government or city planners. Should they create more parking spaces for bikes, or place more direction signs and area apps? However, this does not mean technology cannot be a part of the solution of the problem. Did we create the right app? 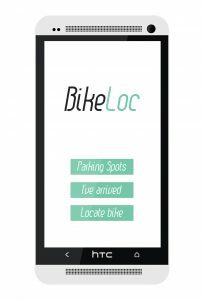 Instead of creating an app to find your bike, it could be of more value to create an app that helps you find a place to park it. It could list designated parking spaces and the availability. This way, it is possible to cooperate with the city government and for example bike rental companies in finding a lasting solution. When we developed the idea of BikeLoc we took on the role of solutionists ourselves, and completely focused on creating a clever tool to solve our problem. We discovered the seemingly endless possibilities and freedom technology has to offer. After the finalization of BikeLoc, we reflected on our work to investigate the other side of the debate. Raising questions about the problem instead of the solution, made us think critically on our initial approach. In the end, we came to the conclusion that all the different components of a problem need to be taken into consideration in order to find a lasting solution. We think it is important to reflect on the approach, and acknowledge that a quick technological fix might not be preferable in cases where it does not address the cause or origin of the problem. Of course, technology created many innovative and often useful ways of coping with existing problems in our society. However we believe the best results can be achieved when tech entrepreneurs collaborate with other relevant actors. Maud van de Looy, Philip Hutchison Barry, Manon van Hoek, Steven Gielen. Ahmad, Saleem, Rouyu, Lu, and Hussain, Muhammad Jawad. “Never Lose! Smart Phone Based Personal Tracking Via Bluetooth.” International Journal of Academic Research in Business and Social Sciences 4.3 (March 2014): 528-545. “College Lecture Series – Neil Postman – “The Surrender of Culture to Technology”.” YouTube. 3 June 2013. 5 October 2016. <https://www.youtube.com/watch?v=hlrv7DIHllE>. Morozov, Evgeny. “The Perils of Perfection.” The New York Times. Ed. Dean Baquet. 2013. 4 October 2016. <http://www.nytimes.com/2013/03/03/opinion/sunday/the-perils-of-perfection.html>. Morozov, Evgeny. To Save Everything, Click Here. The Folly of Technological Solutionism. New York: PublicAffairs, 2013. Sherlock. 2016. 19 September 2016. <http://www.sherlock.bike>. Tile. 2016.Tile Europe Ltd. 19 September 2016. <https://www.thetileapp.com>. Tucker, Ian. “Technology writer Evgeny Morozov on the political dangers of the internet, why newspapers are great – and his personal means of escape.” The Guardian. Lenore Taylor. 2013. 4 October 2016. <https://www.theguardian.com/technology/2013/mar/09/evgeny-morozov-technology-solutionism-interview>.